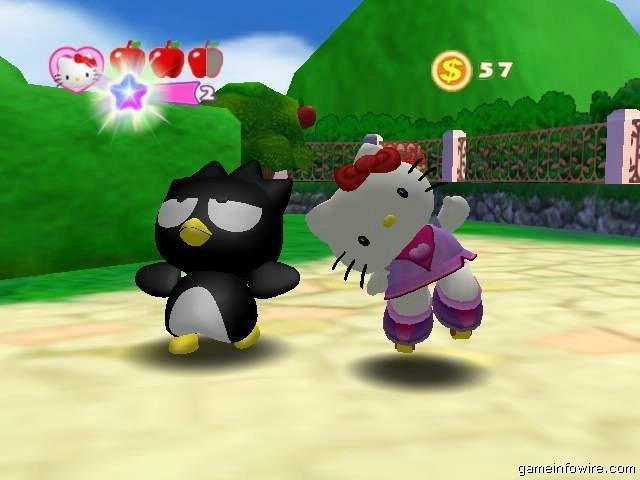 Needless to introduce, Hello Kitty is the cat without the mouth :) I do not mind playing HK games becos they are cute and simple. You will not be expected to make impossible jumps and make crazy coordination movements in these games. The graphics is cheerful and enjoyable I must say. Strangely this game has different names all over. Roller Rescue (NGC), Rescue Mission (XBOX) and actually the PS2 version is "Skate Battle" in Japanese. Anyway this time, HK actually gets to battle against an alien invasion of squares like creatures where their ultimate goal is to change Earth into a ... Oops.. Better not spoilt the story. Anyway, you get to save all your fav Sanrio characters and have them fight side by side with you.